An evidence-based case study with screen shots from TW’s February 2018 swing to illustrate. Problem: inconsistency with the driver, and misses to both the left and the right. In golf terminology, a swing with hands that are “flippy” ( and sometimes even “late”). What does he currently do or believe he should do? 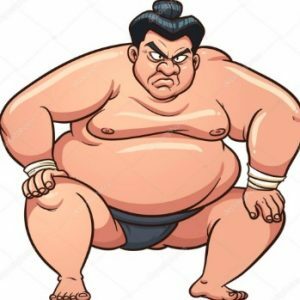 (based on youtube videos of his 4 coaches and what they have added to his knowledge). As a kid he was always “stuck” with his arms behind his rapidly rotating trunk. One coach suggested he should: have a slightly weaker left hand grip and a slightly narrower stance during set-up. 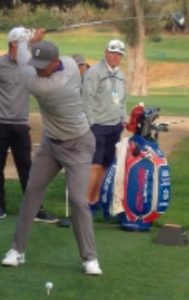 Then make a takeaway which should set the club “up” a little earlier, have the clubhead in front of hands a little longer, have a higher right arm (key), then round off his left arm and place it a little flatter at the top. During the downswing, he was told to get the club down in front of body, then arc it off with a little bow of the left hand. All this, he was told, would get the arms in front of body instead of position the club laying down behind him in his downswing. 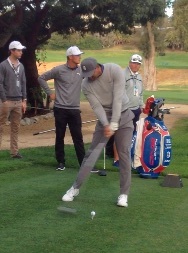 This made his distance about 10-15 yards less. Another coach suggested that the solution would be to place his club shaft, during the backswing, on or above shaft’s angle at address. This would help to bring the club more in front of his body and prevent the upright shaft position (slightly across the line) of the top of the backswing, from flattening during the downswing and thus becoming stuck close to impact. To hit a draw, a golfer should have the left side higher and put more pressure on the lead foot. Then during the backswing, a golfer should make a full turn of the trail side behind one (including of the hips). This will put the pressure into the trail foot so a golfer can drive the body forward as he/she swings down. This coach has also said that body motion through the golf swing should feel like an upper cut with the right side of the body working a bit under and up instead of throwing a hooking type motion where the right side is higher than the left. 2018 Backswing: mainly the lead knee becomes exaggeratedly flexed, and with it there is lead side trunk lateral flexion (closer to a stack and tilt look). The arms swing inside. It may be argued by 3D purists that there is some “hip rotation” but mainly the backswing is a drop-the-lead-lift-the-trail side, move-the-arms-inside swing. Considerable X-factor of limited pelvis versus more shoulders, even though shoulder rotation may not be as pronounced as before. If the “big three” of swing speed production are side-to-side “weight shift”, up-and-down vertical force production and rotation, TW’s 2018 swing is mainly up-and-down during both the backswing and the downswing, with little weight shift and no pure torso rotation. Why does that matter? Because, as stated in one study, correct sequencing of pelvis-before-shoulders can give better direction, as well as greater distance. This is the only researched information we have on producing better ball direction, while there is a ton of research on increasing speed. Moreover, “correct” sequencing is nothing other than a rotary movement of the pelvis before the shoulders. It also matters because a swing with so much “body drop” during the downswing (not to mention head forward drop) can create compressive loads on the neck, the lower back, the hips and the knees. So is it being advocated here to not jump up and down or move side to side? When so many people have used their launch monitors and pressure/force plates to prove that golfers who “push off the ground” better create more club speed? While it is very important to “use the ground”, there is a much simpler way to do it. See the footnote for details on what exactly “using the ground” means. If not a squat-jump, how can Tiger create both the speed he is famous for, and more consistency of direction? The suggestion here is to minimize the range through which side-to-side and vertical motion take place, and maximize rotation! Of the previously mentioned “big three” power producers of the body, both side-to-side (weight shift) and up and down (squat jump) come at a price. The muscles of the body need to “use the ground” to push off, while contracting forcefully to create movement. However, rotation is completely free, because muscles that become stretched merely by the act of rotating during the backswing, are stretched and primed and ready to contract forcefully during the downswing, and they do this without volition, that is, subconsciously. Is there any proof of this? 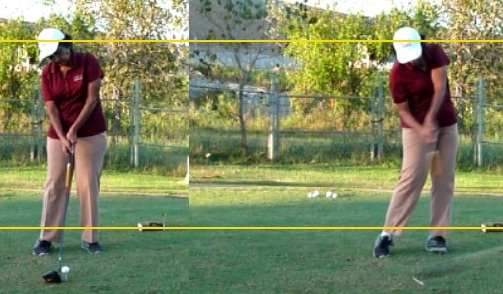 See results below from a simple class project showing how much more the external oblique (core) muscles fire with this swing system [ensemble average of 12 participants, mixed ages and handicaps, over a single session golf lesson with only 10-15 practice shots between pre- and post-measurements]. So what should Tiger to improve ball-striking and consistency and reduce the scope for further injury? He should use a swing which does reduce all unnecessary motion (up and down and side to side), has been subjected to research at many phases of its development over 25 years, and can be explained in terms of muscluloskeletal anatomy, neuro-anatomy, motor control and biomechanics. 2. THEN the posture and grip are taken so as to not undo the rotation achieved. 3. Finally, the head and the spine are tilted away from target, and unlike all other swings, STAY at that angle throughout the backswing, by keeping the trail ear, shoulder, elbow, wrist and waist lower than their lead-side counterparts. (If at address and impact the trail shoulder is lower, why waste time lifting it during the backswing, only to have to drop it down, while making a ton of other motions, during the 1/3rd second the downswing lasts?). This swing positions body mass closer to target to start with, so that little weight shift is required. It also keeps the lead shoulder higher throughout the backswing so that little vertical movement is required to increase lead shoulder height (the main purpose of the "push up" movement). With these moves (and a few other minor arms position adjustments which are not relevant to the present discussion), not only is rotation assured but the “bad” moves of the upper body mis-sequencing the downswing are ruled out, as is the likelihood of the arms pulling the club to the left (for a right-handed golfer), thus instantly making the “pull” group of shots unlikely. This swing actually uses the ground in a much more efficient manner, as all it requires is to push both feet firmly into the ground during takeaway. As the trail side of the body remains lower throughout the backswing and there is little lateral movement, the strong core muscles use the firm connection (purchase) with the ground to rotate forcefully off. After all, which boxer actually sways or moves in any direction at the moment of throwing a strong punch? Try this drill: push down through your feet and quickly rotate your trunk versus be light and loose through your feet while trying for quick trunk rotation. Essentially, this swing positions the body not at the “top of the backswing” but at the “top of the downswing”, so that the unnecessary, excessive movements of transition go away, all the body’s joints are positioned for their actual roles of the downswing, and all the important power muscles are primed and ready to fire. The moral of the story for you and Tiger Woods? Cut out excessive side-to-side and up-and-down movement (imagine trying to shoot at a target while standing on a vibrating platform!) and increase the rotation. It’s free, it’s easier on the body, and it provides ground-up sequencing - the only movement known to produce both better distance and direction (a baby draw with a driver). As for being "stuck"? The pelvis rotating from closed to square prevents it being too open to the arms, so they are never "stuck behind", and a correct sequencing of body rotation prevents the wrists from being "stuck". “Using the ground” has become a popular notion in recent years, with many advocating pushing forcefully downwards into the lead leg with a flexed knee during the downswing, so that the ground can help push the golfer up. What is the purpose of the push-up? Merely to get the lead arm to be as high as possible, so that the radius of the swing’s arc is maximal at impact, to give the golfer the greatest possible club velocity when contacting the ball. “Using the ground” is another way of saying using “ground reaction force” (GRF). This concept is based on Newton’s Third Law of Motion which says that every action will have an equal and opposite reaction (and this can be in any direction such as horizontal when pushing against a wall, or vertical when pushing against the ground). However, many in golf have claimed that as the golfer pushes down, the ground pushes the golfer upwards. That is patently untrue. GRF is merely a passive force and can be used to slow down (as when landing from a jump), or speed up, movement. The slowing down takes place because the ground offers a resistance to continued movement. The speeding up happens as the body’s muscles are able to use the ground as “purchase” to push off against. If a person does not have adequate muscle strength/speed they may simply stay ‘down” and never have enough muscle strength to use to push up off, IN TIME FOR IMPACT (ie in the 1/3rd second a downswing lasts!). 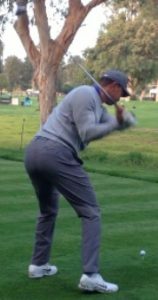 Even Tiger’s lead shoulder, despite his strength/speed from extensive fitness routines over many decades, is at its highest after impact (see picture below).